Angelina College now offers an associate degree in Surgical Technology. Previously, the program offered a level one certificate. According to Stefanie Vaughn, program director, the change is in response to industry standards. 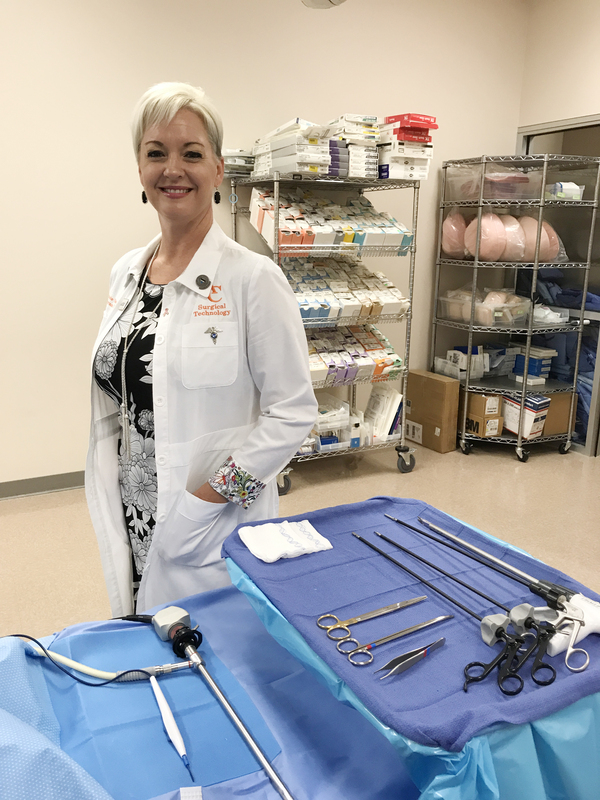 “An associate degree has now become the required degree for surgical technologists,” Vaughn said. During surgery, the technologist passes instruments and needed supplies to the surgeon and receive tissue specimens. They ensure that there are no breaks in sterile technique so that the patient does not acquire an infection. According to the Bureau of Labor Statistics, surgical technologists earn a median salary of more than $46,000. In order to apply to the program, students must complete an online information session, print and turn in a quiz in order to pick up an application at the front desk of the Health Careers I building, room 100. Students must complete all prerequisites, or be in the last semester of prerequisites, with a grade of C or above in all courses and have a minimum GPA of 2.5. A prerequisite course may only be taken twice. Introduction to Surgical Technology (SRGT 1405) is now a prerequisite course. Up to 20 students will be selected for this course. Students must meet with a faculty advisor to register for this course which is only offered during Summer I session. Selection of program applicants is based on completion of the online information session, completed program application, GPA, past medical experience, previous degrees earned, points for major science courses taken, letters of recommendation, and a panel interview for the up to 20 students that qualify to be registered for SRGT 1405. Once SRGT 1405 is completed, ranking of the students will be completed, and the top 10-12 students will be conditionally accepted into the program starting Summer II. These students must pass a drug screen and background check. For more information about the Surgical Technology program at Angelina College, email Stefanie Vaughn at svaughn@angelina.edu.